Multicloud puts more emphasis than ever on connectivity itself, which makes networking itself more relevant. When enterprises started moving workloads and applications to the public cloud, it made sense to adapt existing networking technologies to the new domain. But while compute and storage have successfully become ‘cloud-like,’ networking hasn't. Cloud networking solutions being offered by companies including Aviatrix, Cisco, and Juniper Network are all vying to help organizations solve networking challenges when transforming their infrastructure to public cloud. 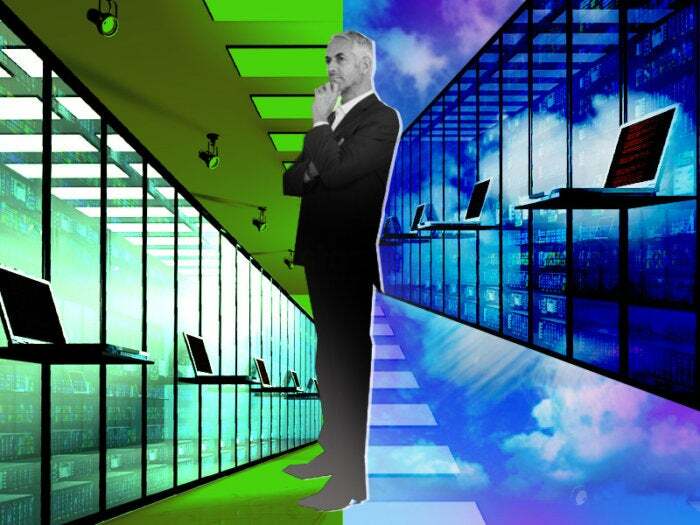 But as cloud implementations become more complex, it’s becoming clear that cloud connectivity solutions based on virtualized datacenter networking technologies lack the agility and elasticity required to build and scale in the public cloud. To connect workloads from on-premises datacenter servers to VMs in the public cloud—creating hybrid cloud environments—networking vendors introduced virtualized routers to provide connections between datacenter and public cloud resources. This was understandable, as enterprises were already familiar with this routing technology running in their datacenters. Now, however, the hybrid cloud is evolving to the multicloud. At this point, it’s not enough to simply default to the idea of re-creating the ’90s datacenter network in the public cloud. "Multicloud" is a term with various definitions, but let’s settle on defining it as the use of multiple public cloud infrastructures. An enterprise might start with a couple of applications running on Amazon Web Services (AWS), perhaps evolve to a global transit architecture for hybrid connectivity, then start to add workloads to Microsoft Azure or Google Cloud Platform. And make no mistake, multicloud approaches are coming. Multicloud lets enterprises increase availability of their cloud operations. If one public cloud vendor suffers a localized failure, the enterprise could switch workloads to a different vendor’s infrastructure. Multicloud strategies also enable enterprises to match particular workloads, applications, and geographic locations to specific public cloud vendors’ strengths; reduce costs by taking advantage of special deals and competitive pricing among public cloud vendors; and avoid vendor lock-in. So, what does the evolutionary path from the datacenter to the hybrid cloud to multicloud mean for networking? Establishing one-to-one connections gets old—not to mention unworkable—when you need to route traffic rapidly and securely among disparate cloud resources. The connectivity challenges are difficult in hybrid cloud environments, and they become daunting when you add disparate public cloud infrastructures to the mix. This leaves enterprises to undertake the tedious and time-consuming process of establishing connections manually. If you want to build 100 or 10,000 connections from AWS to Azure or GCP, there’s no way to do that manually and be operating at anything close to cloud speeds. Multicloud deployments will be best served by abstracting the networking to deliver the same experience across all public cloud platforms. The more complex an enterprise’s cloud presence, the more it becomes obvious that trying to adapt hardware-based or virtualized networking technologies to the software-defined cloud simply won’t work. By the time an enterprise has a multicloud environment in place, it’s time for a purpose-built cloud networking solution able to abstract the complexities of networking and routing for all the major public cloud infrastructures—and automate it so that cloud and DevOps teams can provision, monitor, and troubleshoot multicloud connections themselves. Delivering in-the-cloud multicloud connectivity requires cloud networking that is software-defined, not just virtualized. What does real multicloud networking look like? One thing it doesn’t look like is your traditional datacenter, stacked with racks of networking equipment or virtualized systems. Purpose-built cloud networking is all software, so it’s essentially invisible. Full integration with all the popular public clouds, including AWS, Azure, and GCP. Automation of all the complex CLIs, BGPs, and routing tables of traditional IT networking, making it easy to connect to, within, and among any public clouds, or to and from private clouds. Easy, centralized cloud networking management that lets enterprises see, control, and troubleshoot all their cloud-based resources in all their clouds. End-to-end encryption for every connection—even across regions and enterprise sites, and within and between any public clouds. Plus, capabilities to segment resources so connectivity occurs by design or only when specified by cloud teams. To provide all these capabilities that automate and simplify complex underlying processes, multicloud networking must treat networking as code—as Aviatrix, for one, does in its purpose-built cloud networking solutions. That way, cloud teams can stop taking up IT networking staff’s time with cloud connectivity requests, freeing the networking folks to focus on the on-premises networks that need their expert touch. At a time when industry news focuses increasingly on hybrid cloud and DevOps ways of working using automation, it’s easy for networking professionals to become concerned about being made irrelevant. But here’s the good news: Multicloud puts more emphasis than ever on connectivity itself. In this way, multicloud makes networking itself—and easier ways to manage networks—more relevant. It’s not just for CCIEs anymore, but also networking for the rest of us. GT Hill is currently the Director of Product and Technical Marketing at Nyansa. He was formerly the Director of Technical Marketing at Ruckus Wireless. He has been working with Wi-Fi since 2002 when he started a Wireless ISP covering over 1000 square miles in rural Oregon. Since that time he became CWNE No. 21, has been an independent consultant, and worked for various technology vendors. He currently resides in Arkansas on his decommissioned Titan II Nuclear Missile Base.